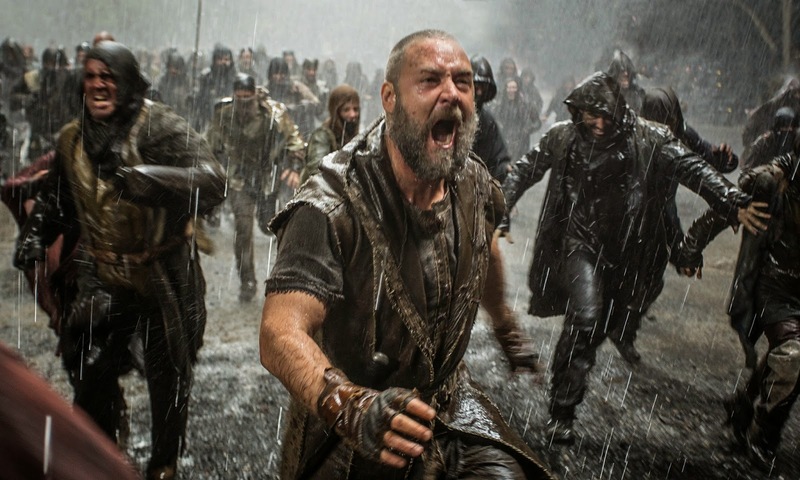 Shall I tread where angels fear to tread and give an evaluation of Darren Aronofsky's Noah movie? Well, I guess it depends on what you mean by angels. In the movie Noah , the frilly feminine harp-stroking caricatures have given way to a cross between Ben Grimm, Peter Jackson's Ents, and Gumby. I guess we can chalk that one up to the mystery of the Nephilim. But I digress. What about the movie? Is it any good? Should Christians go and see it? Should anyone go and see it? Before offering my opinion, I should warn you that I think Jackie Gleason's role in Smokey and the Bandit may be the finest performance in the history of cinema. I don't think that tells you much about Smokey and the Bandit , but it does tell you something about me and my aesthetic sensibilities. So even I can't blame you if you take these reflections with a healthy grain of salt. Caveat lector!
" Noah Is The Midrashiest Midrash That Ever Was Midrashed"
So what about Noah ? Is it worth your time and money to see it? The answer to that question depends entirely upon what you think is worthwhile. There are at least three criteria by which I make such judgments: execution, story, and fidelity. Should you see the movie? I've seen and enjoyed more than my share of movies based merely on execution alone. Many a summer blockbuster falls into this category. I liked the movie on those narrow terms, and perhaps you will too. Here's another way to think about it. If you enjoyed Avatar , you will likely enjoy this movie for similar reasons. If you've all but forgotten Avatar , you will likely forget Noah for similar reasons.